Artwork refers to the original files we need in order to perform the printing or laser engraving portion of your customized USB key order. The file formats approved for this are .eps (vector format), .ai (Adobe Illustrator) and .pdf (high resolution). For more information about printing details, visit our Custom USB FAQ section. 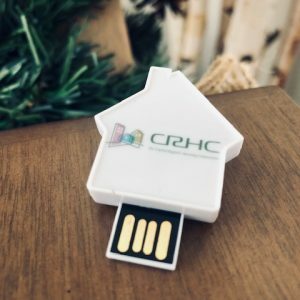 COB, otherwise known as Chip-on-board flash memory is similar to an ordinary USB flash drive, but with one major exception – it can be produced at a much smaller size than traditional flash drives. To view our COB housed USB styles see our Miniature collection. 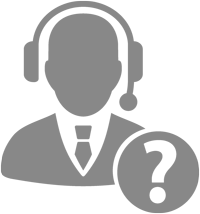 A unique picture icon that is displayed instead of the standard disk drive icon in a computer. Also known as a device driver, this can be one or more software files that must be installed on a computer system before a new hardware component (such as a printer, scanner, or USB drive) can be used. A high priority production job for USB drives with a turnaround time of 24 to 72 hours. Available on select drive models only and at a supplemental cost. A computer storage chip that can be electrically erased and rewritten. 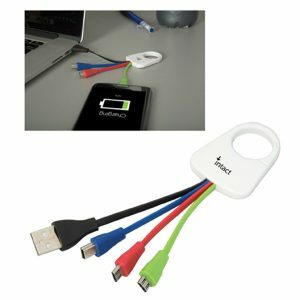 It is primarily used in memory cards, USB flash drives, MP3 players and solid-state drives for general storage and transfer of data between computers and other digital products. A storage capacity equal to 1 billion bytes. A thermal process where a die is heated and stamped into leather. Provides an appearance similar to embossing. A piece of computer hardware that expands one USB port into multiple ports. A permanent process whereby a high-powered laser is used to etch text or an image onto a USB drive. Is normally only available on metallic surfaces such as steel or aluminum. 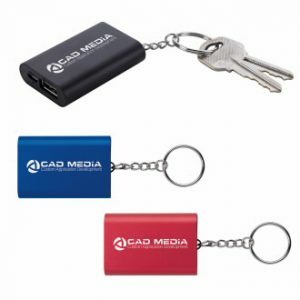 Any artwork or text which is designated to be printed on a USB drive casing or body. 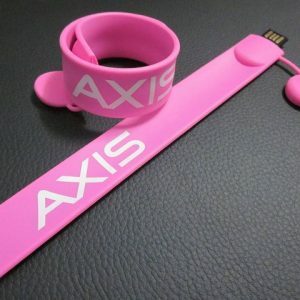 Can be single-sided or double-sided depending on the style of the USB drive. A slower and more popular type of flash memory chip that can be produced in an easier and more cost efficient way. A type of flash memory (Solid State Drive) use to retain data integrity when a system loses power or is turned off. Commonly found in USB drives, MP3 players, smartphones, PC tablets and other technology related gadgets. The option of having your data loaded onto a USB drive in mass quantities. Fro more information, visit our Data Loading Services section. A fast and accurate memory chip found in high performance USB drives; often identified by a higher price. 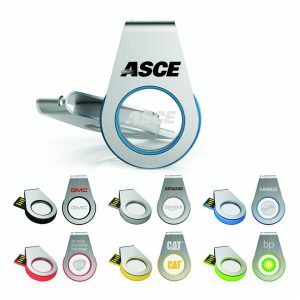 A USB style that features a built-in rotating cap instead of a removable cap. To see our swivel styles, visit our Swivel collection. The total amount of time between placing an order and receiving the final product. The original specification is decreasing in usage due to more recent upgraded hardware versions, has a maximum reading speed of 12 Mbits (or 1.5 Megabytes per second). The newer specification, also know as the High Speed USB, comes with a maximum reading speed of 480 Mbits (or 60 Megabytes per second). Is probably the most commonly used USB standard today. data transfer rate of 4-5GB/sec, it is by far the fastest USB so far. The name assigned to a drive, which will show up in your computer’s disk manager (i.e. “My Computer” on Windows platforms and the “Finder” on Mac based systems). Special protections that keep some or all of the files on a USB drive from being erased or deleted by the end user. 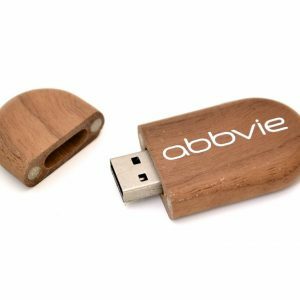 Are all USB Flash Drives made with the same level of quality? The marketplace is filled with USB Flash Drives of diverse quality. Some are excellent, although many are completely unsuitable and fail to meet to most basic quality control tests. 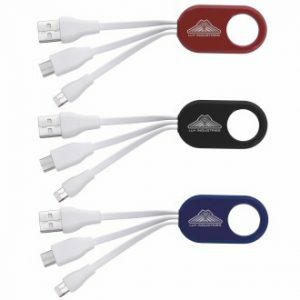 If you are considering a bulk purchase of custom branded USB Flash Drives for promotional purposes, a good quality product that will enhance your brand image is essential. 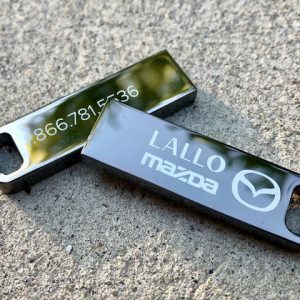 In many instances, buyers overlook quality and simply hunt for the lowest possible price to only discover the hard way that many suppliers sell unacceptably low quality USB keys. This type of low quality puts a stain on the flash drive industry, since when you purchase a USB anywhere, one would expect it to function properly and also be well branded. 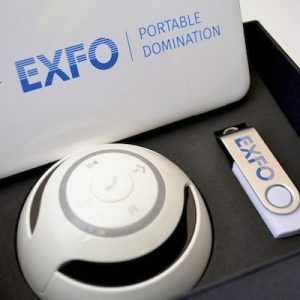 In fact, many promotional product distributors and end users buy imitation USB flash drives from phony direct manufacturers in China who cut too many corners, resulting in a poor quality product that cannot be returned or given to your clients. We at USB Canada have heard way too many horror stories like this and pride ourselves on our high level of quality to calm your fears of having to repeat such a bad experience. The NAND Flash memory chip is a component that is the lifeline of a Flash Drive. Flash memory comes in different grades with a range of read and write speeds and data-retention capabilities. At USB Canada, we only use new, grade A memory in all our products and have ISO certification quality control standards at our factory. 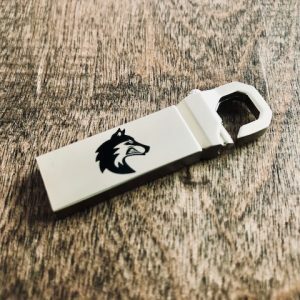 Unfortunately it has become commonplace for too many promotional product suppliers acting as a middle men, to be unaware what is actually inside their USB Flash Drives when they receive their orders. Your search has finally ended since you have now found a reliable and trustworthy manufacturer for your promotional flash drives. Why do NAND Flash prices change? “NAND flash” is the type of memory chip used to make USB flash drives and many electrical items such as mobile phones, smartphones, PC tablets, mp3 players, cameras and various other electronic devices. NAND flash memory chips are manufactured by just a handful of companies such as Samsung, Intel, Toshiba, Micron and Hynix to name a few in a variety of capacities and levels of performance. The price of NAND flash memory changes daily in accordance with global supply and demand similar to commodities such as coffee, oil or gold. From the supply side Samsung, Intel, Hynix and Toshiba exercise production controls to ensure the global market is neither oversupplied or suffering any significant shortages. From the demand side, well known companies such as Apple, Sony and Nokia have the ability to influence NAND flash prices as well with their larger sized orders. The prices USB Canada uses to quote its clients are directly based on daily NAND flash spot prices, since the NAND flash memory chip is the most important component in a USB Flash drive from a cost perspective. NAND flash memory also may be derived from different memory capacities, which also causes additional fluctuations in the price. What are the benefits of using a USB vs. a CD/DVD? USB drives offer much greater compatibility and versatility than CD and DVDs. 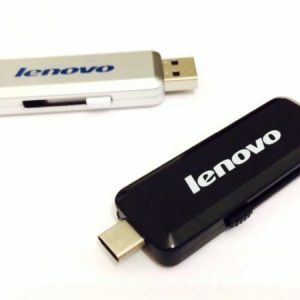 Can a USB key work with any computer? USB drives are compatible with most major operating systems including Windows, Macintosh, and Linux. Some older computers may not have a USB port, but most computers manufactured after 1998 support USB technology. USB stands for Universal Serial Bus, which is a standardized connector for computer accessories and peripherals. 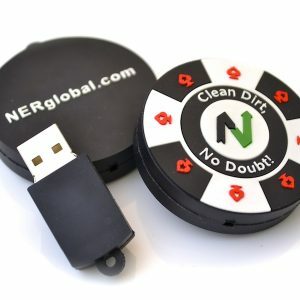 USB can connect computer peripherals such as a computer mouse, keyboards, digital cameras, printers, personal media players (MP3), flash drives, Network Adapters, and external hard drives. For most of those devices, USB has become the standard connection method. 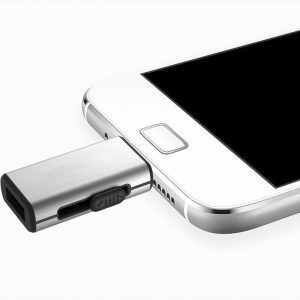 USB was designed for personal computers, but it has become commonplace on other devices such as smartphones, PDAs and video game consoles, and as a power cord. As of 2008, there were about 2 billion USB devices sold per year, and approximately 6 billion total sold to date. What is the difference between USB 2.0 and USB 3.0? USB 1.0 was the original specification for flash drives, followed by USB 1.1, which was a bit faster (circa September 1998). USB 2.0 is a newer (since 2001) and faster specification, 40 times faster than USB 1.1 and the current de-facto standard for most peripheral devices (cameras, scanners, hard drives, and flash drives). USB 2.0 chips transfer data at an average rate of 40 to 60MB/second.